We as pilots evolve our flying styles, skills, and tastes over the years; in many ways like glider developers evolve their technology. That technology changes and advances our flying styles and skills, and our flying styles then drive further advances in technology. Everyone benefits from pilots and developers “looking forward;’ as the products keep getting better, safer, more enjoyable, and more accessible. A little more than three years ago, I was staunchly anti-reflex – in favor of pilots learning an active-flying skill set and not relying on “crutches” like “passive pitch-stability.” The technology hadn’t really convinced me at that time that it was anything more than a false sense of security, and it was enabling unskilled pilots to get in way over their heads – people were actually getting hurt. At the same time, sales and marketing rhetoric perpetuated the idea that the wings “fly themselves” and “all you need to do is fly X-brand” – and you’ll be rewarded with invincibility and unrivaled cool-points. As a professional trainer, I will always be an advocate of thorough training the “old fashioned” way. Pilots who never learn old-school skills will plateau early, and their training shortfalls will be apparent when circumstances eventually demand the right input…I digress. 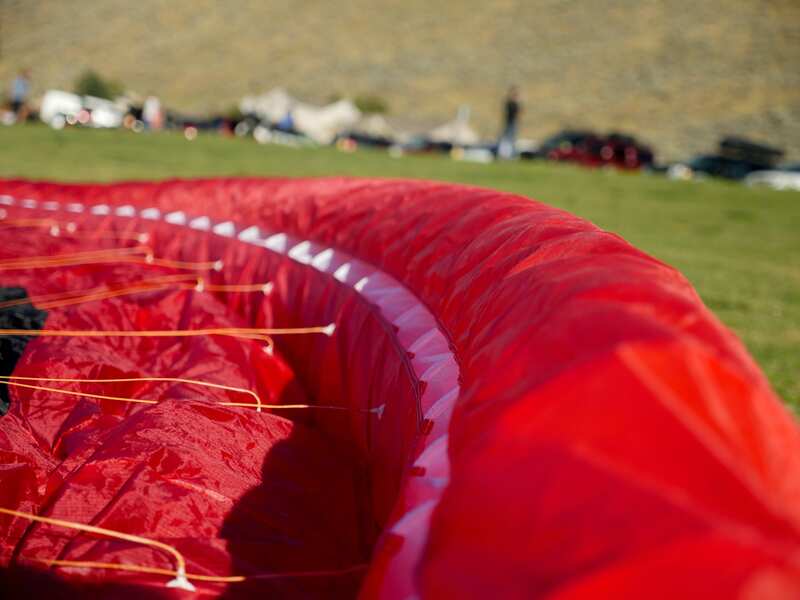 The arrival of the GTR from Paramania brought the paramotor world a wing that delivered the stability that reflex wings were purported to have, with the handling that everyone wanted. It was revolutionary. Stable, no-frills, fun, and easy. While it was (and still is) a legendary wing – it just wasn’t for me. I loved the stability and handling, but at my weight and typical takeoff elevations, it was just too power-hungry for me to consider it to be the “ultimate.” To each his own. That motivated me to seek out paramotor wings that are “liftier,” even if it meant a slight compromise in stability. It didn’t matter to me; with the right skill set, you rely on your active piloting skills should technology fail you. In that grand quest to find the perfect compromise, I’ve found that efficiency is as much a safety factor as pitch stability is. It makes tough launches/landings easier, gives you better climb rates/angles, and gives you that extra little buffer when you slightly mis-judge a swoop, get low on a foot drag, or have an engine-out over unfriendly terrain. In the search for efficient reflex wings, I really liked the Dudek Hadron and Snake. Both gliders were as much of a game-changer as the GTR was, but in a different way. I still continued to seek out something that mixed supreme stability and efficiency, and absolute top-quality. Something that everyone could benefit from. The GTR set the bar for stability, as the Hadron did for efficiency, as the Snake did for maneuvering. But I wanted it all. Paragliding technology, while still in it’s infancy, has been rolling over about every three years since the early 2000’s. A glider doesn’t necessarily become obsolete at the three-year mark, but it’s apparent that a “generation” worth of technology has been happening in about a three-to-four year span. As such, Paramania and many other manufacturers have released new-generation paramotor wings this year to build on the success of trendsetters like the GTR. There are a handful of new models that are combining “all the tricks” learned in the last few years from successful paramotor wings, (reflex profiles that actually work, construction methods that keep internal pressures up, “PK” speed systems that integrate speedbar & trimmers, integrated steering toggles that have two axis of control, etc.) 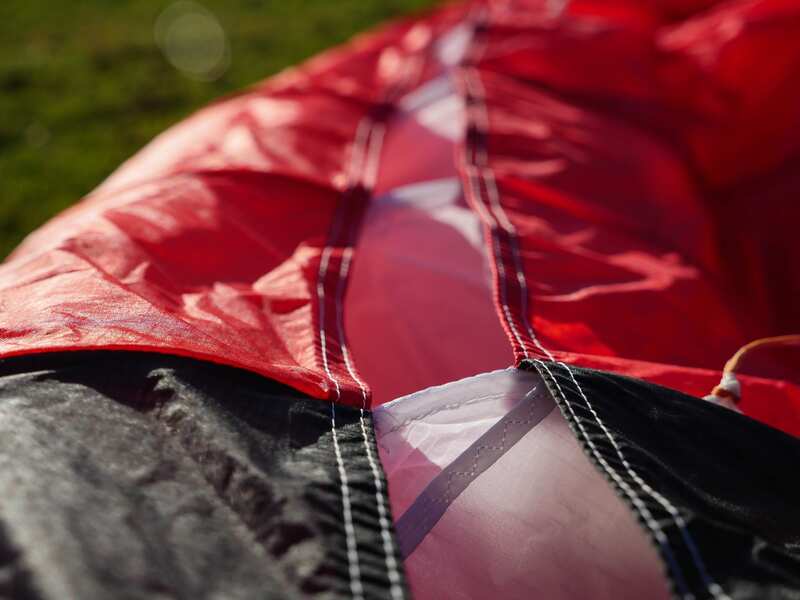 as well as design features from the highest-level competition paragliders; adding stability and performance gains that are sure to be followed by the rest of the paramotor wing industry. This is an extremely exciting year for us as pilots. Rumors of a “shark nose” reflex slalom wing from Niviuk have been out since last summer, though few details were released as they continued tuning this special design over the past year. Niviuk, a relative newcomer in the paramotor world, has been no stranger in the free-flight scene since it’s inception ten years ago. 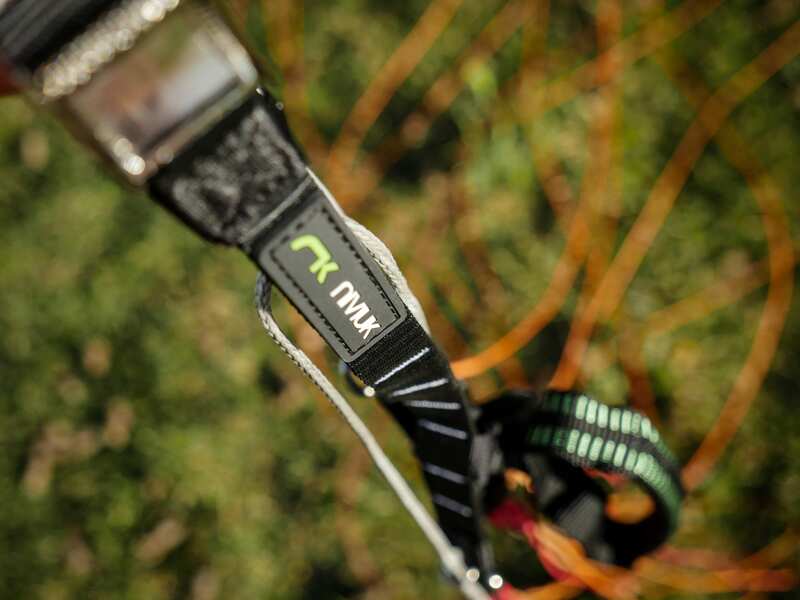 Niviuk has embraced their slogan “the importance of small details,” and the result has led to them becoming one of the “big 3” winningest brands in competitive paragliding for several years. 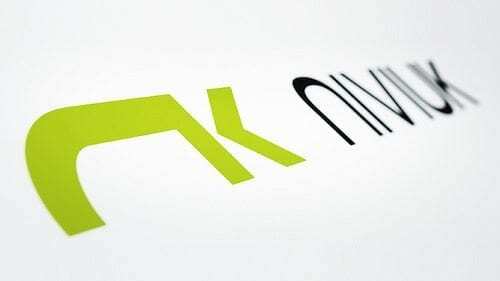 Niviuk’s construction methods and equipment, facilities, and designs are top-tier. 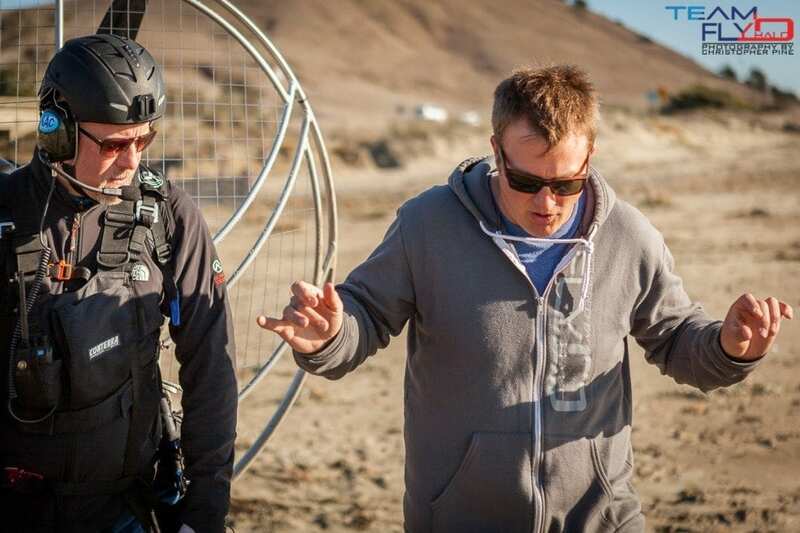 This, coupled with the skill and vision of their chief designer Olivier Nef, made us extremely excited to see them turn their attention to advanced paramotor wing designs. 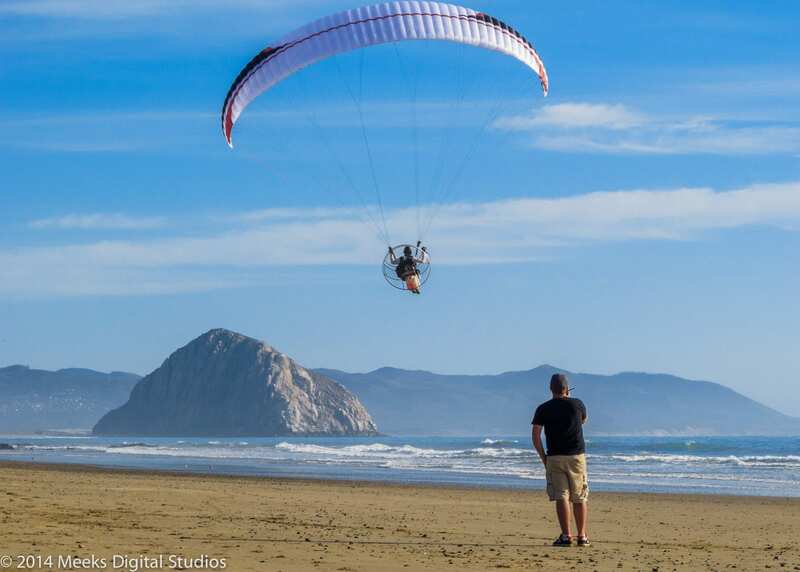 Finally – Paramotor pilots get “trickle-down” technology from the advanced designs found in competitive paragliding – the “big dogs,” if you will. My first experience with Niviuk was in 2011 when my initial free-flight instructor, Brad Gunnuscio, introduced me to the brand. He always spoke about Niviuk with high regard – as a company that wins competitions when the conditions were less-than-ideal. His theory was that Niviuk pilots had the confidence in their gliders’ stability to push them further, when other pilots were too scared to push their “twitchy” race ships in the sketchiest of conditions. Sound logic, and coming from the 2009 US National Paragliding Champion – I’ll take it. I had the chance to fly the original Niviuk Kougar prototype when two Niviuk factory representatives were visiting the USA in 2011. While the fit and finish, quality, and performance were excellent; the original Kougar felt like a competition paragliding wing with a basic reflex profile – it was……a little boring. It wasn’t what most pilots wanted; which is stability first, then performance, and finally – FUN! The handling was just a little bit too sluggish, and the glider’s smallest size was a 23 meter. In the modern world of advanced freestyle flying and competitive slalom racing – that’s a pretty big wing. This time around, Niviuk empowered the PAP/Niviuk team pilots including Nico Aubert, Karen Skinner, and Ramon Morrilas to test and give feedback on their two next-generation reflex rides during development. 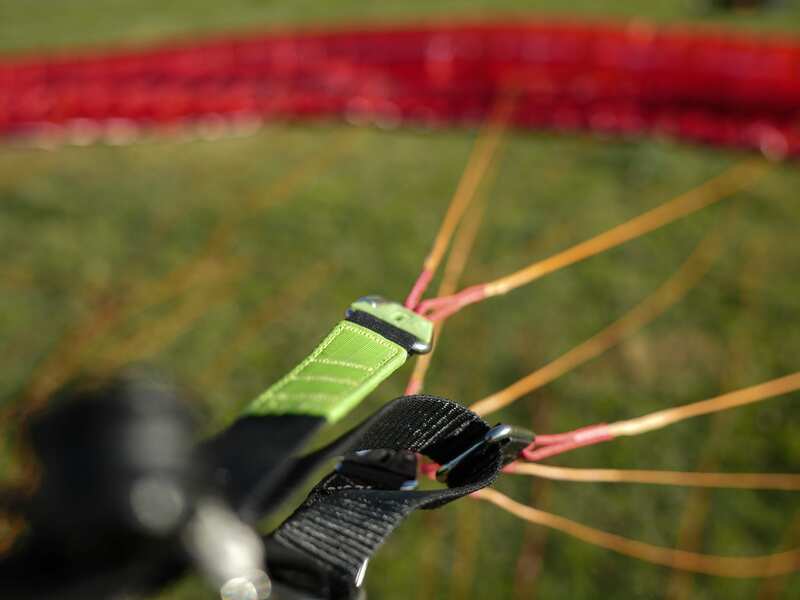 What they have delivered is two revolutionary models that combine the highest level of reflex stability, wide speed ranges, and without question the best glide ratios (performance) we’ve ever seen in paramotor wings. These new wings, the Kougar 2 and Dobermann, suit pilots from skilled “beginner-mediates” up to the most advanced expert slalom racers – we couldn’t be happier. What follows is a list and description of the technological advances and features found in both the Kougar2 and Dobermann gliders from Niviuk. Segment two will focus on individual features, flying traits, and tech data of the Kougar2. Most pilots in the paragliding industry call this technology “Shark Nose,” which refers to the patent held by Ozone made famous on their R11 (and subsequent) competition gliders. Niviuk first employed a basic version of this design trait in 2010 on their Hook 2 LTF1-2/EN-B glider with great success, although the design focus was different than how it is used today. Competition wings started to sport a more-aggressive version of the profile after that, which ultimately led to Ozone’s patent. It’s important to note that while the source of the technology (first theorized in 1989) may be arguable, no one has tried to charge royalties to competitors as a result of “technology sharing.” As a result, all top-tier Paragliding manufacturers have used RAM or Sharknose to some degree in wings for all skill levels over the past couple seasons. The Kougar 2 and Dobermann from Niviuk are the first reflex paramotor wings to feature an aggressive RAM profile – akin to their flagship competition wing, the Icepeak7 pro. The benefits of having a RAM profile are simple – better accelerated stability, and better recovery characteristics; allowing more efficient designs and better glide performance throughout the wide speed range. RAM allows greater internal pressures, a cleaner leading edge profile, better handling, more-positive air intake at varying angles-of-incidence, greater resistance from collapse, and faster recovery should a collapse occur. Some of the potential disadvantages could be: Increased complexity of structure, cost, weight, more complex care procedures and repairs, greater performance losses should damage occur, et al. To me personally, the benefits clearly outweigh any disadvantages. And we think these gliders undoubtedly increase safety and further the capabilities of pilots wishing to step into the next-generation of reflex paramotor wings. I can’t speak factually about the design traits of the evolved reflex profile found in these gliders – I haven’t yet asked the designer about it. (He’s gonna approve my Facebook friend request any day now.) My theory is that the added efficiency of the RAM profile has allowed the designer to use a more effective reflex profile in this design while still retaining excellent efficiency. Higher internal pressures can’t hurt either – but this is purely speculation on my part. Two separate nylon rods form the nose of each cell, coming together much like a heart-shape, to form the RAM leading edge that sits further behind the nose than classic designs. Nylon rods are easy to care for with a simple pack-up job, and easy to replace should they become damaged or deformed. Again, nothing ground-breaking here; but noteworthy because as one inspects the (quite complex) structure of each of the cells; the quality and attention to detail that goes into each line of stitching and cut of fabric becomes apparent. This truly is a high-end model from a premium manufacturer. Glancing at the Kougar2 or Dobermann in-flight, they appear to have the amount of lines common to a three-riser system. Both gliders have a four-riser line plan, but upon closer inspection of the risers you see a unique drag-reduction technique. The D-riser is a simple spectra rope that attaches one line, cascading out to the D row on the glider far above the risers. The reduction in lines is visually-apparent, and you can see the difference in overall line-reduction by comparing data tables of the most popular competitors. It’s small in the grand scheme of things, about a 5-10% reduction in line drag. But when it comes to pushing out every potential point of glide, scrapping 30 feet of line makes a difference. Steering/trimmer/speedbar configurations always seem to be the most interesting thing for pilots to look at in a new reflex wing. This is due to the limitations brought on by some configurations. The speedbar and trimmers both manipulate the risers the same way mechanically. Meaning, you don’t have to be fully trimmed out to start using speedbar. Based on our speed tests, it appears as though the trimmers account for about 40-45% of the overall speed range, leaving 55-60% in the speedbar. While the “cool guy” setup is a 50-50 split, we like to think that encouraging pilots to use speedbar for momentary changes instead of flying around with the trimmers out is good practice. As with any high-performance paramotor wing, you should always fly with speedbar to use the glider to it’s fullest potential. The common setup in reflex wings is, the trimmers increase the reflex and speed you up a little, the speedbar decreases the angle of attack and speeds you up a lot. But in that setup, you cannot use speedbar before letting trimmers up – it creates an unsafe configuration. The risers on the new Niviuk gliders increase reflex profile and speed commensurately. For temporary speed changes, use speedbar. Both the Kougar2 and Dobermann utilize a steering system commonly referred to as “2d,” made famous by Dudek. The brake line goes through the pulley as in a classic glider, then a “steering line” or “course corrector” (CC) line is attached to the toggle from outside the pulley. This makes control of the glider intuitive when changing steering methods. A pilot actuates brake normally when at trim speed or half-accelerated. Once full trimmers and speedbar, or full speedbar and trimmers are applied, the pilot then only actuates turns by weight-shifting and pulling inward on the brake toggles – activating the tip steering or “CC” lines. Most pilots rarely find themselves in the configurations that require this alternate method of steering, and they do have to practice it to make it work. But having the ability to “change up” the characteristics of a turn (flat, diving, roll & climb) adds another dimension of control, and makes the experience that much more fun for all pilots to fly. 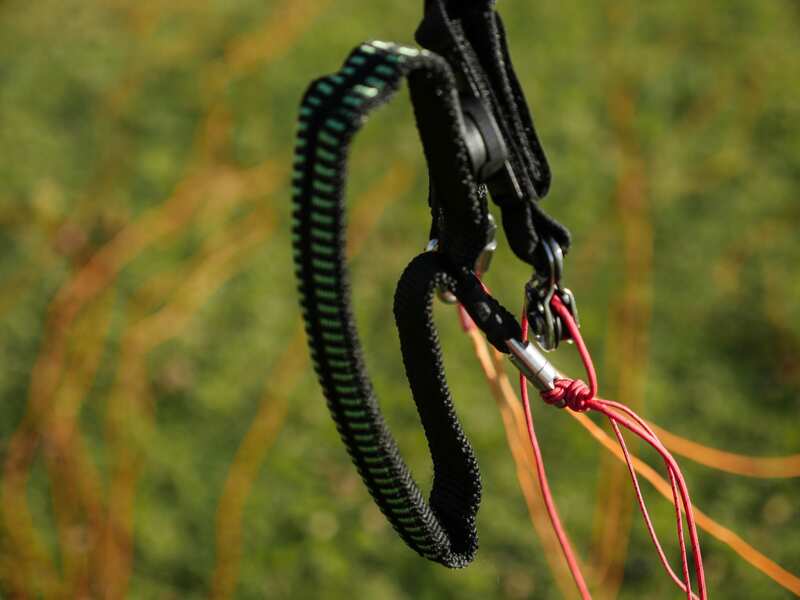 As mentioned before, this system was first implemented by Dudek and has been used by many paramotor wing manufacturers – there’s nothing revolutionary about the steering setup. What is noteworthy about the Kougar 2 and Dobermann is the ability to use speedbar without trimmer activation, as well as the ability to steer normally while on either full-trimmers or full-speedbar. As new generations arrive, those configurations with complex limitations disappear. Hallelujah! With a higher aspect ratio (A/R,) a glider can tend to “horseshoe” or even come up crooked on inflations with anything but the perfect setup. Utilizing only the center A’s on a split-A system is a trick to remedy this when launching in the calmest of conditions, or the dreaded “switching two’s.” Good to note – with a high A/R and a RAM intake, pilots who are thorough in their layouts will have the most success when the conditions are challenging. Due to the design of the risers and the long range of the speed system, dual hook-in points were not an option on the Kougar2 and Dobermann. Instead, an easily-adjustable brake line pulley system comes standard, so high-hang pilots can easily adjust the length of the brake/CC lines, and make a corresponding adjustment to lower the brake pulley (adjusted with velcro straps.) If pilots are not comfortable performing this task, they just need to specify which unit they have, and their dealer or Niviuk Paramotor Wings USA can make the adjustment prior to shipping. After flying the Kougar 2 and Dobermann for the past three and a half months, I can say without a doubt the reflex profile’s effectiveness on both wings are on par with the most stable paramotor wings out there. We’ve tested varying sizes of the Kougar2 and Dobermann in Oregon, Utah, Nevada and Arizona, at altitudes from 0 – 11,400ft (3500m), and in conditions from laminar-smooth, to the absolute-worst-sustained-rotor-ride I’ve ever had. Niviuk has pulled out all the stops on these gliders. Their persistence shines when looking at the advanced features, performance, safety, and finish of these two models. The second segment of this review will focus on individual characteristics of the Kougar 2, real data on performance, pilots’ opinions, as well as recommendations as to whom the glider is best suited. Great review and as an owner of the Kougar 2 I was happy with the K1 which I out some really enjoyable hrs on but this baby is unboutably a game changer! Just love it with the conditions in Australia variable and at times tough this wing is super stable. Thanks for the inquiry. Niviuk never applied for a patent that we are aware of, but have been using “shark nose” variants since 2010. This is not new, nor is it a point of contention in the industry – but many companies have used this technology, since before the patent was issued.